Tiffany Brown-Morris is an attorney with The Mabra Firm who has experience with personal injury and prosecutorial law. Tiffany views her law practice as a way to give a voice to the voiceless, using her legal skill and listening ear to get Georgians the help they need and deserve. She takes a “whole person” approach to her cases, taking each client’s legal and emotional needs into account. 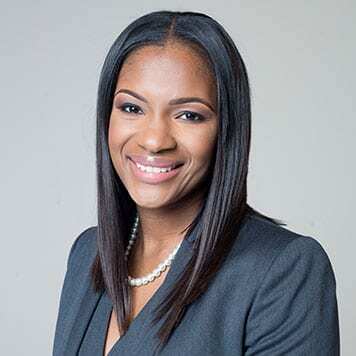 A graduate of Clark Atlanta University, Georgia State University, and the Loyola University College of Law, Tiffany is a former Teach For America educator with a Master’s of Education in addition to her Juris Doctor degree. When she’s not working, Tiffany can be found volunteering with faith-based organizations in her community.